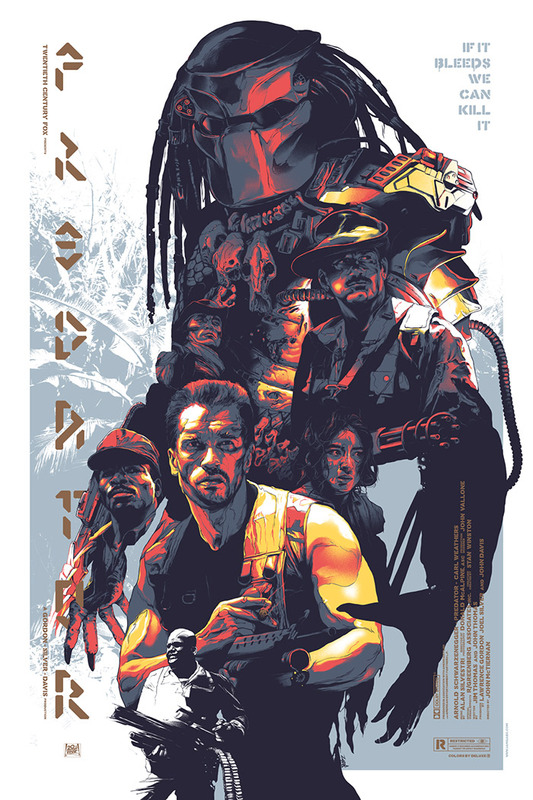 A beautiful 7 colour screen print for Predator, it was printed in two colourways with metallics and glow in the dark inks. It measures 24”x36”. Dutch and his group of commandos are hired by the CIA to rescue downed airmen from guerillas in a Central American jungle. The mission goes well but as they return they find that something is hunting them. Nearly invisible, it blends in with the forest, taking trophies from the bodies of it's victims as it goes along. Occasionally seeing through it's eyes, the audience sees it is an intelligent alien hunter, hunting them for sport, killing them off one at a time.